"An osprey taking fish to go". 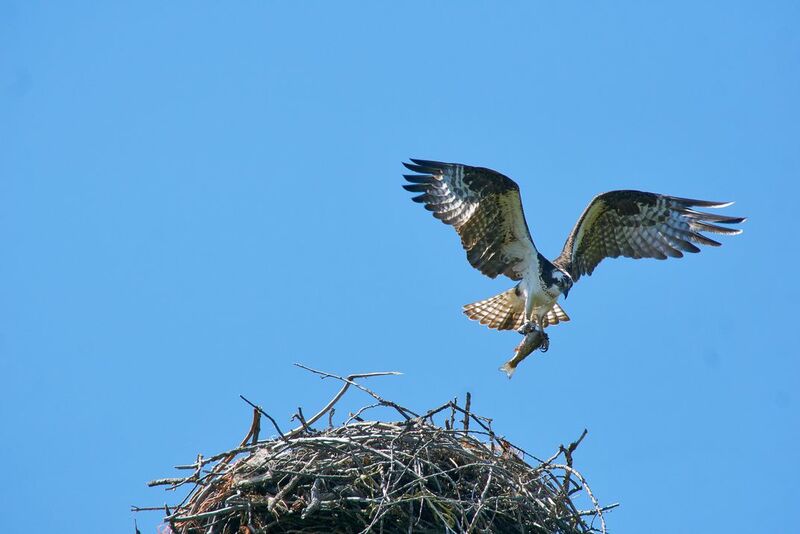 This photo of an osprey lifting off from its nest with a fish was taken along the Sacramento River in Redding, CA. An osprey pair have had a nest for several years at the top of a high pipe support tower crossing the river.